Taking the stylistic edge and gripping riffs of grunge and indie whilst applying a melodic pop feel, BLOXX are the London based quintet rising to the fore. Their band members include drummer Mozwin, rhythm guitarist ad singer Ophelia, Taz on lead guitar and Paul playing bass. After announcing their arrival to the world with the release of their pensive single ‘Your Boyfriend’ in 2016, last year saw a massive spurt of productivity as they directed their considerable creative energies into bringing out a string of singles including the anthemic ‘You’, ‘Curtains’ which displays more of a rock edge and the appropriately additive ‘Coke’. Now they blast off the year with the brand-new song ‘Novocain’. Building on the bands former forays into disco centred rock, their latest offering is a confident display of a band which both knows what they want to sound like and how to perfectly execute it. Benefitting from high production values, ‘Novocain’ proves how less can be more by restricting the lyrics to be easily repeated and the classic quiet verse / loud chorus for maximum effect. 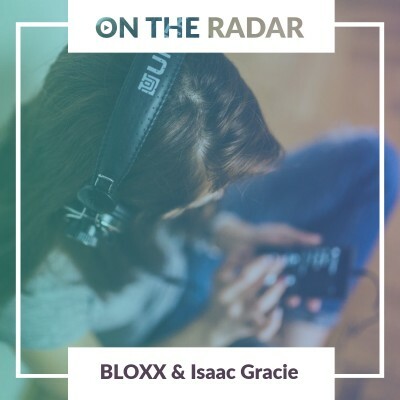 You can bet you will be seeing a lot more of BLOXX in the near future so catch these rising stars on intimate stages when they head out for a UK tour in May. BLOXX tickets are currently available. Young Ealing songwriter Isaac Gracie is living the dream. The kid has been quickly propelled to fame after uploading his demo ‘Last Words’ to SoundCloud which immediately became a viral sensation and saw the likes of Lucian Grainge, head of major label Universal, flown in from his LA home to see the melancholic wonder perform live in the UK during 2016. By the age of 21, he was already being touted as the next big thing. Now Isaac Gracie announces details of his forthcoming self-titled album, released in spring. Including his recent singles ‘Terrified’ and ‘The Death Of You’, Gracie’s first LP reveals the inner workings of a young songwriter who has been thrust into the limelight and is being forced to discover his place in the world in full view of all. “Over the course of the two years it took to complete this record, I learnt more about myself and about music than I had in the entirety of my prior life. It was the biggest test I've ever undertaken and a winding journey that I won't forget. Fortunately, this very public platform as allowing him to exceed and develop whereas the pressure would likely crush a lesser musician. Recorded at the RAK studios in London with famed Grammy Award winning producer Markus Dravs (Björk, Coldplay. Arcade Fire), the pair were able to create a luscious musical backdrop which is the perfect setting for Gracie’s soulful voice. ‘Isaac Gracie’ is released on 13th of April through Virgin EMI. He promotes the new material by hitting the road and playing headline shows the same month. Plus, you can catch Gracie when he appears at London festival Citadel at Gunnersbury Park in London on Sunday 15th of July. Isaac Gracie tickets are currently available.